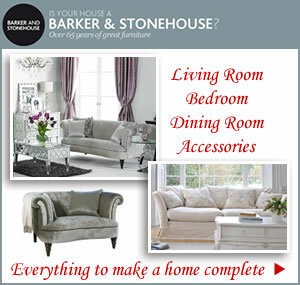 Order now at Barker & Stonehhouse for pre-Christmas delivery and you’ll be rocking and relaxing in this new swivel loveseat over the holidays. Nice things don’t have to cost the earth but a little bit luxury and quality may be worth the extra lay out. Adding a focal point to your living room means one stunning piece can be bought to sit along side existing pieces of furniture. 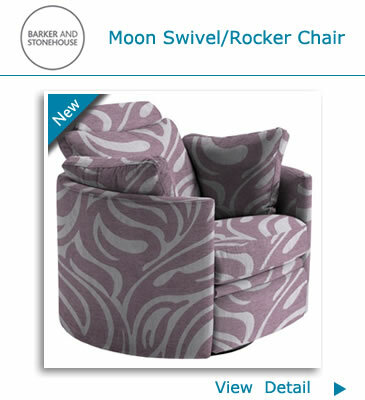 The Moon swivel Rocker chair is part of the latest collection of eye-catching chairs that come in various styles. The curved lines and striking mix of plain and pattern fabric gives this the edge in the style stakes. 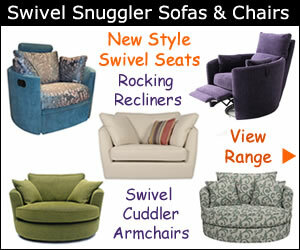 Best of all there is a choice of designs starting with a swivel/rocker then moving up to a manual swivel rocker and recliner and an electric recliner. 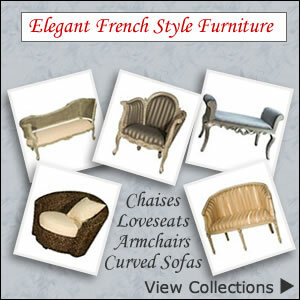 No matter what style Moon chair you choose you can look forward to plenty of relaxation. This is the perfect seat for one that has many features for a different way to relax. It tilts backwards, swivels and rocks and is also available as a recliner. Features of the Moon swivel loveseat include foam and fibre seat cushions, metal swivel base, webbed suspension, fibresilk back cushion and pine and MDF frame. Matching cushions are included.